In this category the freediver descends along a vertical line using a pair of bi-fins or a monofin. 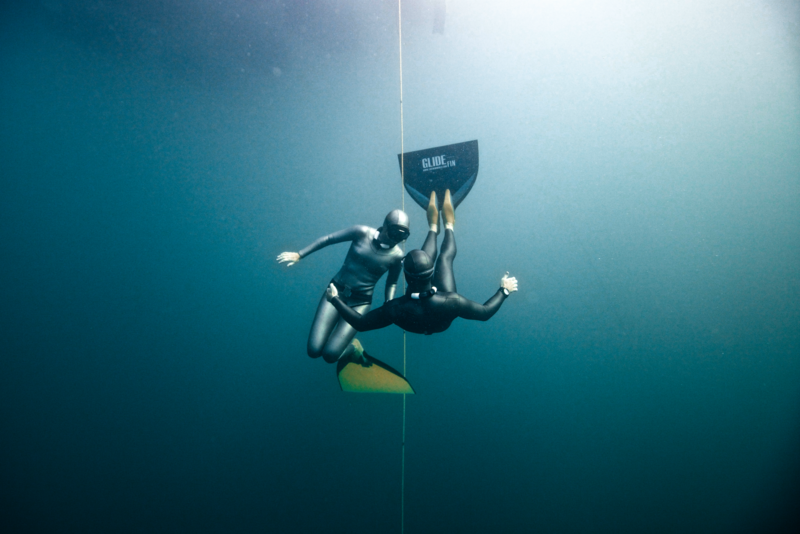 The freediver can only use the line for guidance and can pull it once at the target depth. The key point is that the diver is not allowed to change his ballast during the dive. Until the last few years, carbon fibre fins were the most common fins used by top freedivers. However, monofins have gained increasing popularity and have been shown to be more efficient means of propulsion.